The Ohio & Erie Canal Towpath Trail will be CLOSED beginning at dusk on Saturday, November 2 through 3:00pm on Sunday, November 3, 2013. 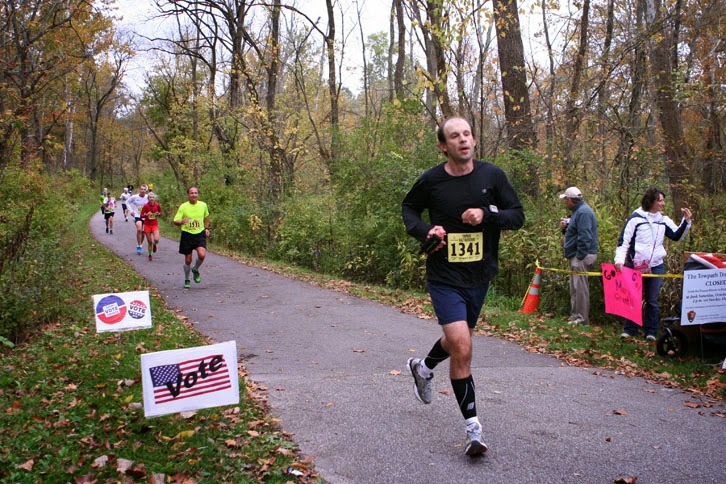 No, it's not another government shutdown; it's the annual Towpath Marathon. The event was originally scheduled for October 13, but was re-scheduled due to the government shutdown. The closure affects all areas of the Towpath Trail within the Cuyahoga Valley National Park, including trailhead parking lots, from Frazee House at the northern end to Botzum in the south. Our bicycle rental service in Peninsula will be available during regular hours (10:00am - 6:00pm, last rental leaves at 4:30pm) on Saturday. Bike rentals will not be available on Sunday, unless the closure ends early, as it often does. Feel free to call us at 330-657-2209 to check.